What is Going on in the Heavens? Crazy 'Illuminati Eye' Hovers over Russian City, Did a Portal Open Up Over Australia? What is Going on in the Heavens? Crazy ‘Illuminati Eye’ Hovers over Russian City, Did a Portal Open Up Over Australia? The heavens, to this day remain a mystery to mankind, the beautiful yet daunting mysteries that unfold with the coming storm or the passing wind still amazes the majority of humanity today. But as of late, in recent years, there appears to be something astray with the heavens, almost as if they are trying to tell us all something. 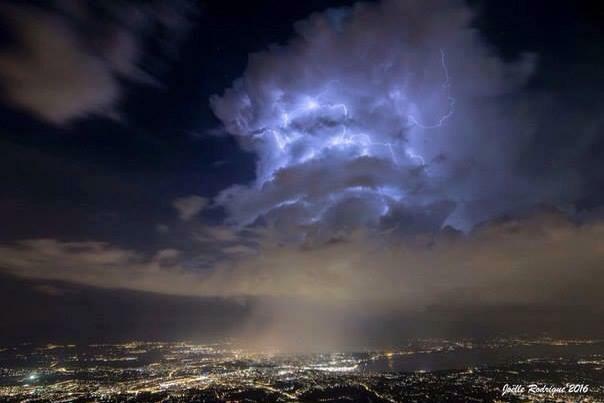 In 2016 hovering over CERN’s large hadron collider there was an ominous sign that something was going on, again as if the heavens were attempting to tell us something. Have a look for yourself below. 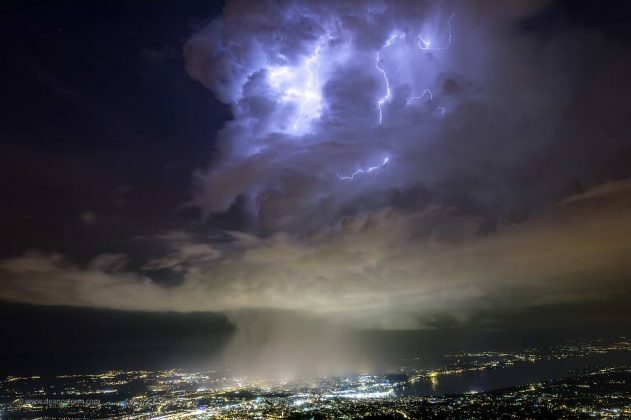 The storm clouds that gathered directly over the large hadron collider in Geneva seemed to portray the possibility that CERN was opening a portal, made visible in the heavens. Geneva Portal? Or Ominous Storm Over The LHC? Fast forward and several other ominous could formations have been seen throughout the time past, but what was just spotted hovering over the city of Chelyabinsk, Russia once again potentially showcases the eye in the sky. As to the intentions of the ‘eye,’ one could draw the conclusion that it was a representation of the ‘Illuminati eye,’ often discussed and used in occult symbolism. However, the lighting storm that was just spotted over Australia ought to make us wonder what in the world is going on? 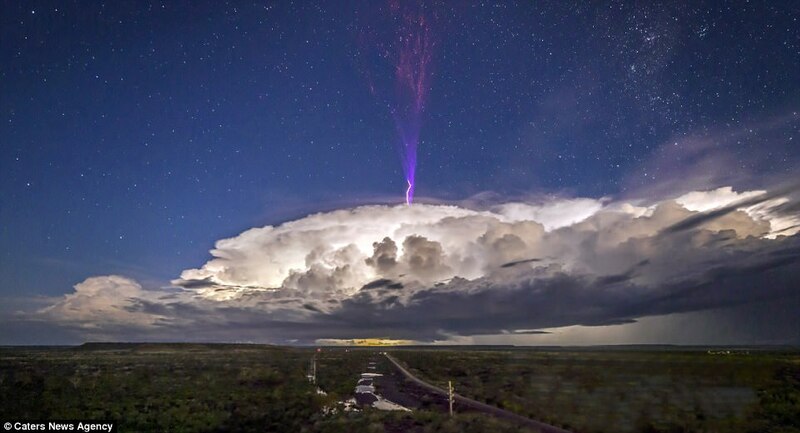 The lightening featured in the images below was captured by photographer Jeff Miles near the small town of Pilbara in Western Australia. 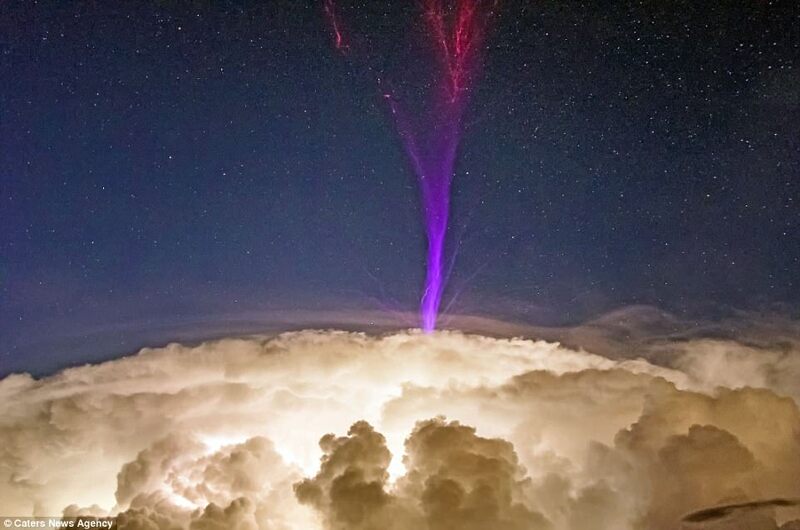 Science calls this phenomenon ionospheric lightning, which is Upper-atmospheric lightning. 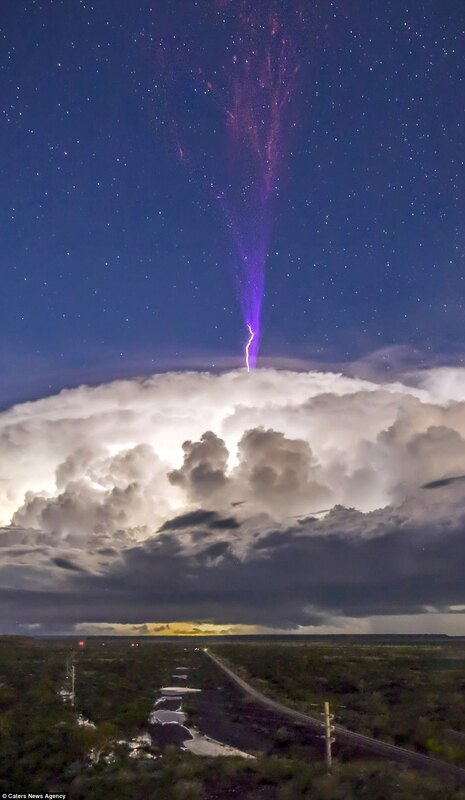 With this type of lightening it would appear as though in most cases, the ionospheric lightning still strikes downward rather than shooting upward. However, there are apparently rare occasions of when this type of lightening does shoot up. But is science correct in knowing this phenomenon or is it something else entirely? 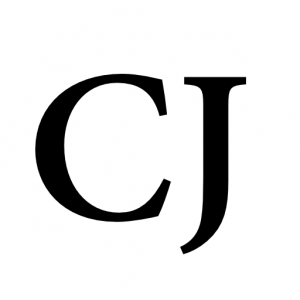 What say you reader?